※All of those make our desk chair support a relax and comfortable long term use for learning and study. Getting it for your little princess. Maybe you can't accompany with your kids all day long, but you can send her a nice desk chair. Maybe you can't help to her study, but you can get her a comfortable chair. -If there is any problem, please contact with us firstly.We will do our best to solve it for you. Ergonomic back support design keeps you comfortable for hours. Adjustable height fits to different desks or tables. Kids can have a relax with swivel function after study. 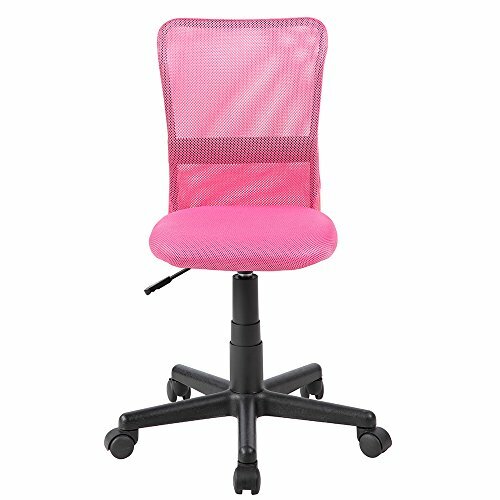 Metal back frame with breathable mesh and thick padded seat provides extra comfy. Weight capacity up to 200 lbs. Dimensions: W14.0*D18.1*H29.7-34.4 inches. If you have any questions about this product by KERLAND, contact us by completing and submitting the form below. If you are looking for a specif part number, please include it with your message.